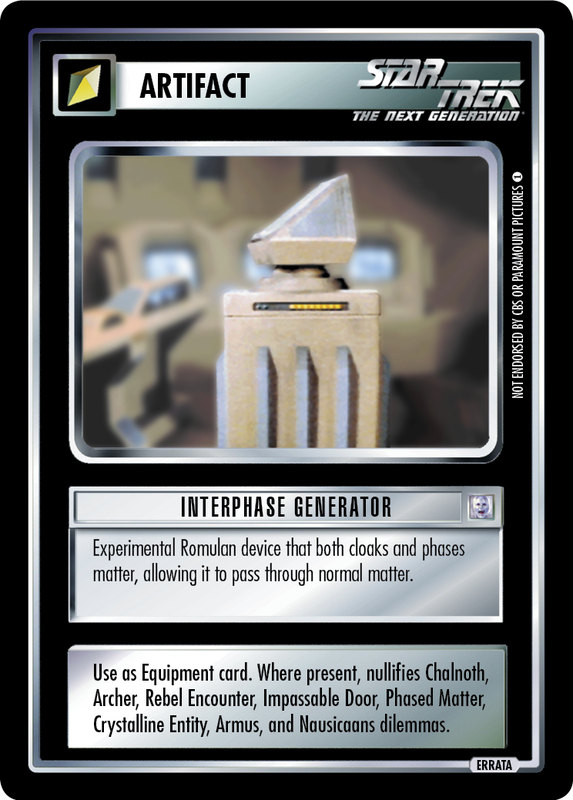 Experimental Romulan device that both cloaks and phases matter, allowing it to pass through normal matter. Use as Equipment card. Where present, nullifies Chalnoth, Archer, Rebel Encounter, Impassable Door, Phased Matter, Crystalline Entity, Armus, and Nausicaans dilemmas.